We’ve all heard of the world renowned authority on colour that is Pantone. Recently teaming with lighting manufacturer E3Light they’ve released a new range of contemporary lighting, and we’re proud to be official stockists. Featuring on trend colours and with a limitless palette to expand on we’re sure Pantone Lighting offers a perfect fit to any interior. The Deneb pendant is a contemporary and minimalist design that features a coloured lamp holder with a matching fabric cable. Designed to be used without a shade this fitting showcases the bare bulb trend we see many adopting. 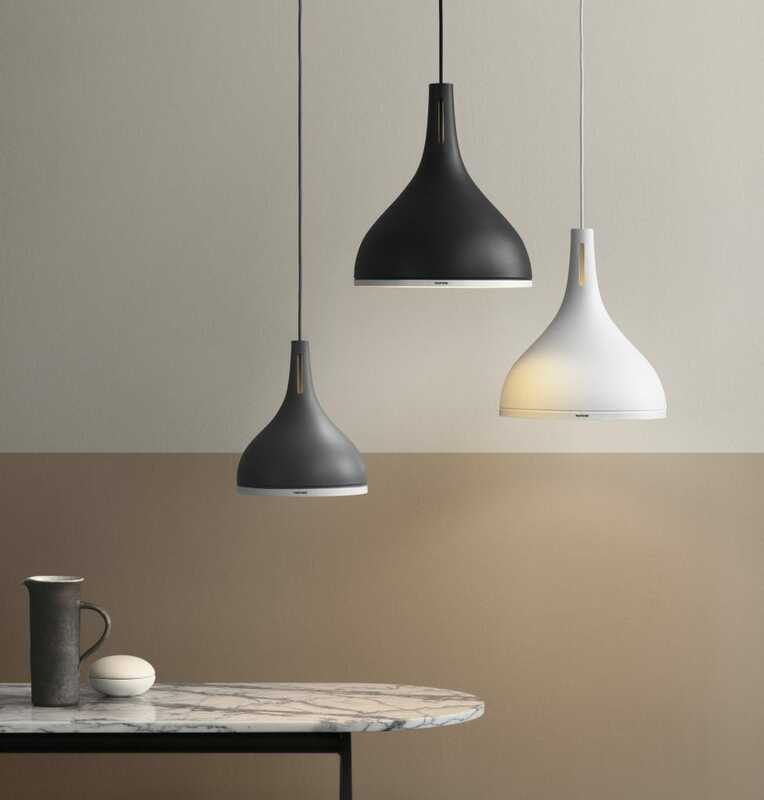 With a 3 metre cable this pendant is a suitable choice for those with high ceilings, it can of course also be shortened during installation for use in a room with a lower ceiling. Team this with a decorative bulb to complete the look, if you want to use the light on a dimmer switch be sure to check the bulb used is also dimmable. We’re sure the Deneb is going to be a popular choice, suspending these in multiples as a row or cluster at various heights would create a great visual impact. It’s currently available in Pantone’s “Black Beauty”, “Brilliant White”, “Pewter”, “Cardinal Red”, “Forest Biome Green”, “Sargasso Sea Blue”. Pantone have also released their “colour of the year 2018” as a limited edition, meaning there is a limited number available… So don’t miss out on “Ultra Violet”! This Scandinavian style ceiling pendant light is currently available in “Black Beauty”, “Brilliant White” and “Pewter”, with two different sizes these curvy designs would be ideal for lighting over your dining room table or kitchen island. Complete with a matching fabric flex these pendants are more than suitable for high or low ceilings. A great choice for functional over table and island lighting. The Capella table lamp comes in the “Brilliant White” finish and can be used with any of the available shades. 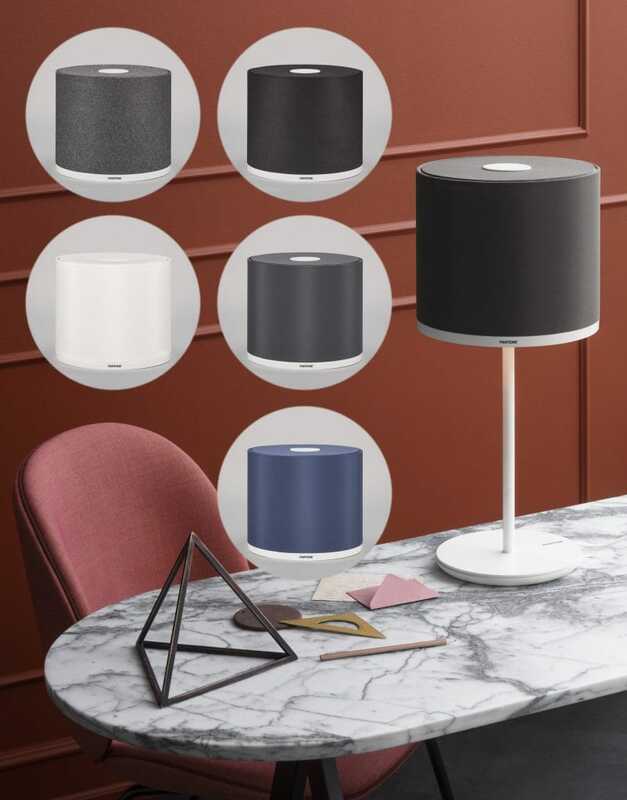 Great for lighting in modern bedrooms or living rooms this lamp is sure to fit in seamlessly to any setting with the assortment of coloured shades to choose from. 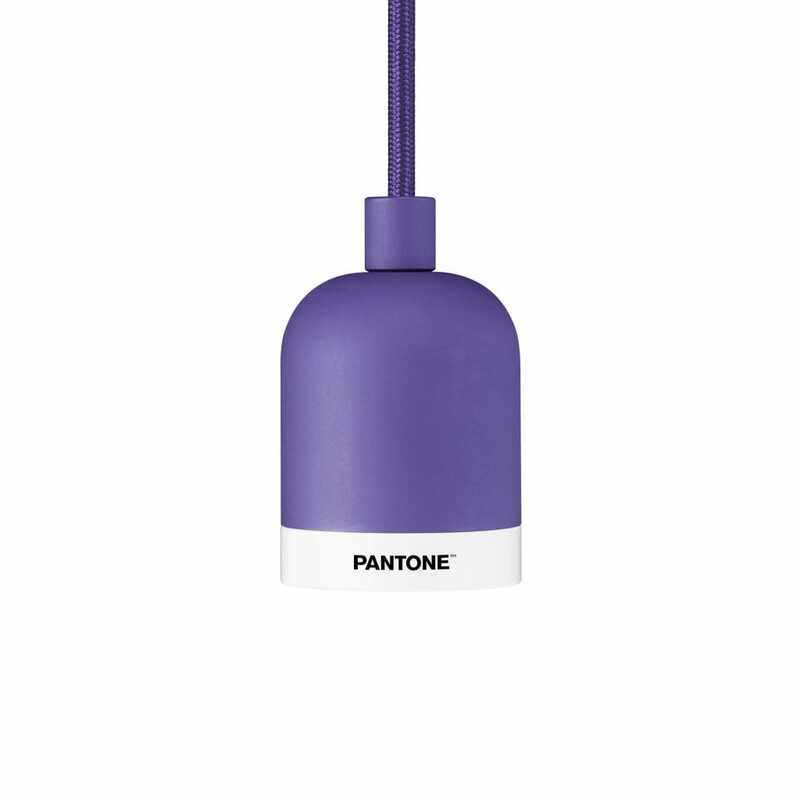 Similarly to the Capella table lamp Pantone have also released a floor lamp. 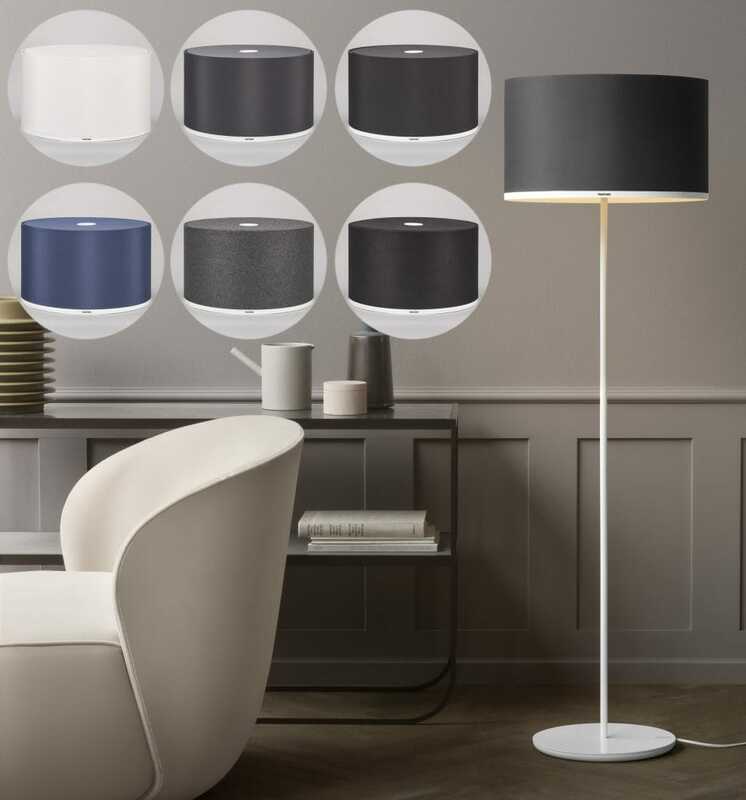 The Antares floor lamp is standard modern design lamp base in a brilliant white finish and can accommodate any of the available shade options to ensure a well suited fit to any interior colour scheme. Colour is a huge factor when it comes to choosing…well…anything! Lighting is no exception, whether it’s something vibrant or something mute in a black, grey or white – we’ve got you covered. 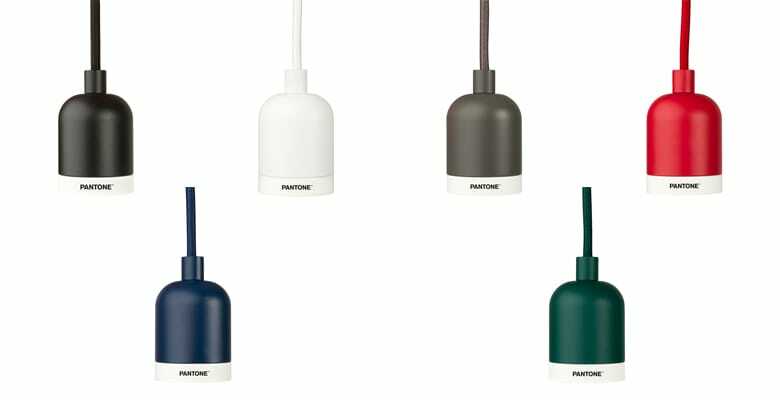 Pantone Lighting is in its early stages but the colour possibilities are endless, as new collections arrive we’re sure to see more and more enter the range. It may interest you to know we have a full FREE digital magazine full of inspirational content and offers! Sign up to our newsletter below to become one of our enlightened VIP’s and receive your FREE copies now.